Chestnut Ridge is Western NC’s exclusive timeless style venue that will not only make your dreams come true but will meet your every need. At Chestnut Ridge we strive to transcend the expected from every bride who has her event with us. 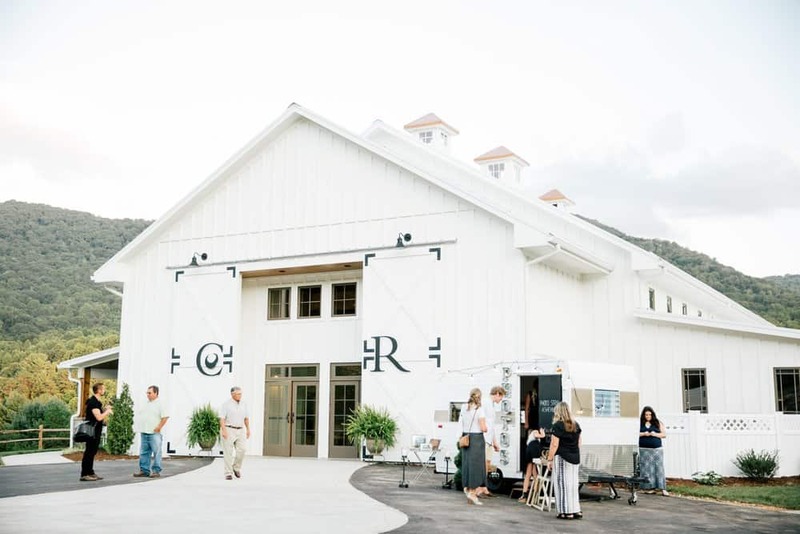 We offer an open air, covered pavilion and a temperature controlled 6400 ft² reception white barn fully equipped with a bridal suite, grooms den, open bar, kitchen, indoor/outdoor fireplace leading to a covered porch, and a beautiful uncovered patio with two fire pits. All packages include tables and chairs, and lunch provided for up to 20 of your wedding party guest the day of your event. Various packages with a la Carte items available. Opening early Fall 2017 and now booking weddings & special events.